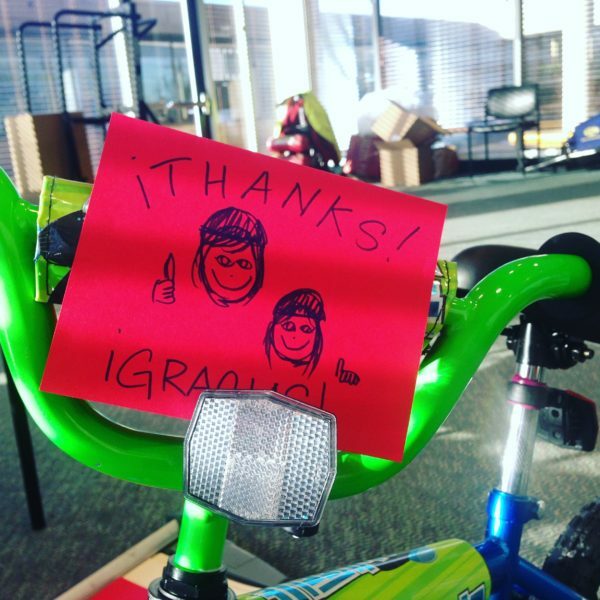 It’s been two weeks since the Holiday Bike Drive, and the numbers and photos are in! 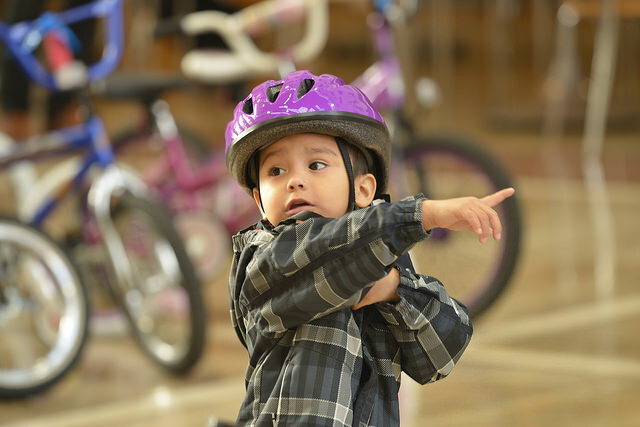 Combined with our Bikes for Kids event in the spring, the Community Cycling Center helped 510 kids pick their first bike this year. We could not have done it without the donors, volunteers, partners, and sponsors that supported this 21st annual event. A special thanks to Legacy Emanuel Medical Center, Trauma Nurses Talk Tough, Lam Research Foundation, Cyclone Bicycle Supply, Portland Trail Blazers, Classic Food, Russell Street BBQ, Eisenhower Bagels, and Nossa Familia Coffee for their sponsorship! If you want to relive every smile, check out the photos taken by our volunteer photographers, the recap from BikePortland, and keep checking this space for stories. Thanks to everyone who helped make this event a reality! Excited and want to help support events and programs like the Holiday Bike Drive? Give a gift to the Community Cycling Center today.